At Granite Bay Speech, we are dedicated to helping individuals become confident communicators. We offer groups and camps for children and teens, ages 8-18, who stutter or clutter. Members choose activities based on their interests. Activities may include: making movies, PowerPoints and educating others about stuttering, sharing fun social activities or creating art projects. 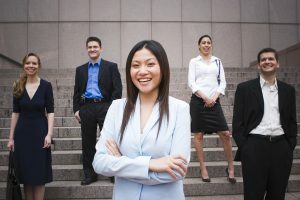 Practice speeches, presentations, and interviewing techniques. Individuals become confident communicators, regardless of their level of fluency. Group members learn from one another and often form lifelong friendships. If you are interested in joining one of our groups or camps, please contact us today! 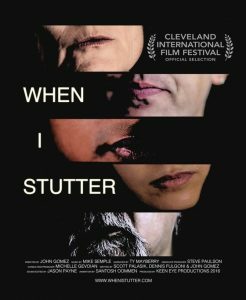 “When I Stutter” is an official selection for the Cleveland International Film Festival! From the depths of hopelessness to heights of redemption, these stories will change how you view stuttering. “When I Stutter…” is a movie which depicts a wide variety of people who stutter. The audience has the opportunity to see and hear individuals as they share their stories about how stuttering has impacted their lives. From avoiding their name and living in silence, to speaking with confidence. We believe that more awareness can and will make a positive difference in the lives of those that stutter and the community. We appreciate the time and effort John Gomez devoted to create this incredible movie; knowledge is power. Sharing the truth about stuttering dispels myths and bullying and fosters compassion and understanding! Help Granite Bay Speech promote this amazing movie! Keep checking our website http://www.granitebayspeech.com to read updates about a movie screening of “If I Stutter…” in Roseville, CA during the summer of 2017! The Let’s Talk Fluency offer begins March 3, 2017. During this promotion, SpeechEasy Comfort Fit models will be reduced in price by $500. Comfort Fit is the model preferred by over 80% of our SpeechEasy clients. SpeechEasy’s 0% financing option is also available during this special offer period. This offer ends June 30, 2017. Let’s talk about YOUR fluency now. No coupon or special form is necessary in order to qualify for the savings. In addition to the product discount during the Let’s Talk Fluency promotion SpeechEasy is offering a $150 evaluation rebate during this promotional period. The rebate is valid for evaluations by Nancy Barcal at Granite Bay Speech between the dates of Feb. 16th, 2017 and June 30, 2017 only. To receive your rebate, simply request an appointment or information packet through the SpeechEasy website and the rebate form will be mailed or emailed to you. The promotion will be good for Comfort Fit purchases made between March 3, 2017 and June 30, 2017. That’s it! We hope this offer allows more clients’ access to SpeechEasy. If you have any questions, please feel free to contact us at 916-797-3307 or www.granitebayspeech.com and we’ll be happy to help! Let’s Talk Fluency at Granite Bay Speech!